Sometimes I feel like punk rock in the 2000’s is futile. Not to say that’s bad, just extremely irrelevant. Green Day’s modern success is attributed to their willingness to change musical directions. I’m interested in seeing what pop punk darlings Blink 182 deliver on their reunion album (hopefully nothing like their terrible self-titled last album). Their aren’t many new punk bands hitting the scene today as the early 2000’s emo boom for or less killed what little was left of punk rock in the mainstream. Thankfully the punk bands of old haven’t called it quits. Bad Religion’s latest, The Dissent of Man, is a reminder that punk never dies. The bands 15th full-length is a testament to a band who’s steadily continued to write great punk songs. 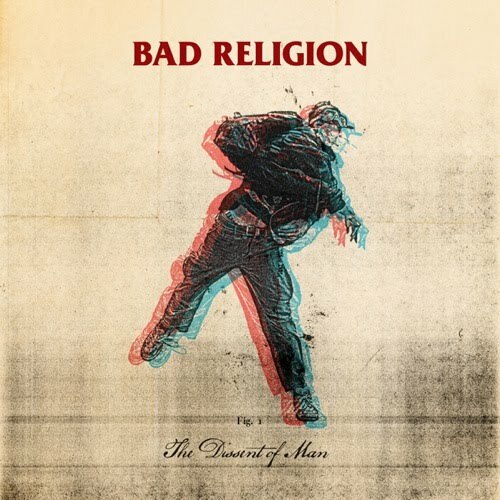 The Dissent of Man is another good record from Bad Religion. Every song is good. If you’re looking to get into Bad Religion there are better albums to start with but The Dissent of Man isn’t a terrible one to pick up. If you’re looking for a good punk record, get The Dissent of Man.